I am trying to help a friend with their machine. 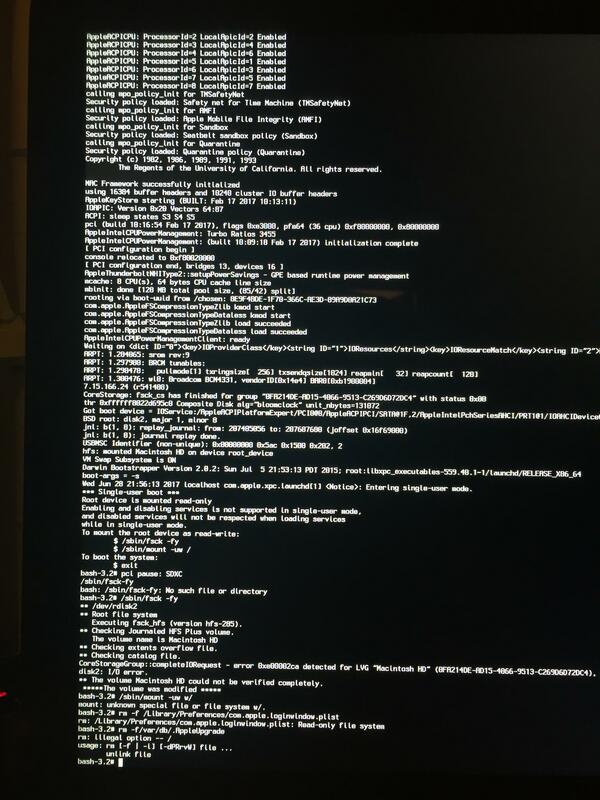 They are using an iMac (3-4 years old) running 10.12. At first, their issue was at login. They would get to the login screen, enter their password, see the loading wheel for 1-2 seconds, then the screen would black out. But the machine is still on. Happened for a few times. Now, though. It just powers on, get to the first loading screen, and then freezes. Tried multiple times. Same thing. I wasn't sure what to do, so I had them follow this guide, What to do when your Mac displays a blank screen and the cursor after a macOS update. I had them reset the PRAM three times. 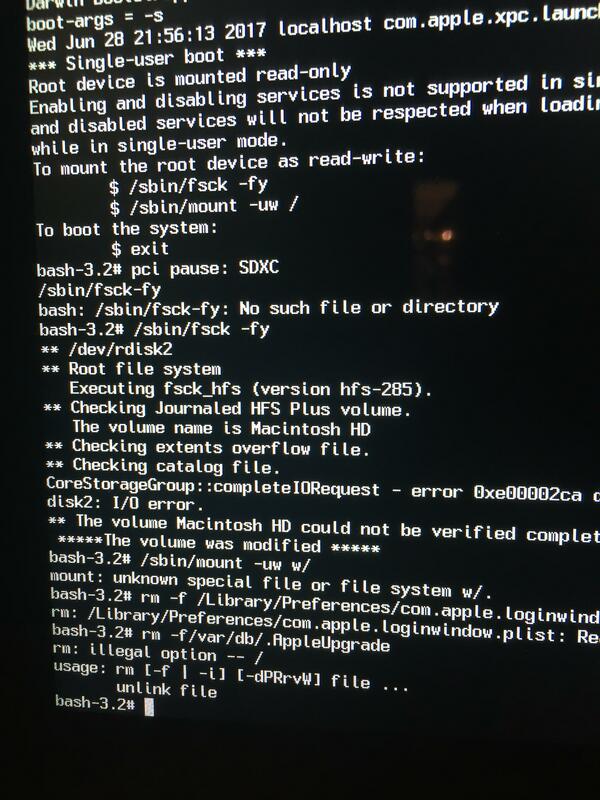 Then boot to Single User Mode, and enter the commands in the article. There seemed to be some errors in the drive, but I am not qualified to interpret them. Here are screenshots of all the entries and readouts in Single User Mode. What seems to be the issue, and what should I have them do next? CoreStorageGroup::completeIORequest - error 0xe000002ca detected for LVG "Macintosh HD" (...) disk2: I/O error. I Googled that error code and found a few reports online of people with that issue. It looks to me like your hard-drive is failing (but that may not be true - it's just a guess).. any time I see the "I/O error", I typically assume the data is in jeopardy even if there's a chance it might not be. You want to be as safe as possible. I hope you have backups .. if you don't, you'll want to treat this situation as though you could lose all your data. Hire a professional to make backups of your hard-drive and advise you on your best next steps. It never hurts to talk to Apple, if it's under warranty they may be able to help. If not, you'll want to decide if you want to get a new hard-drive put in (depending on the year your iMac was manufactured, it could be very easy or very difficult) or just buy a new iMac. Not the answer you're looking for? 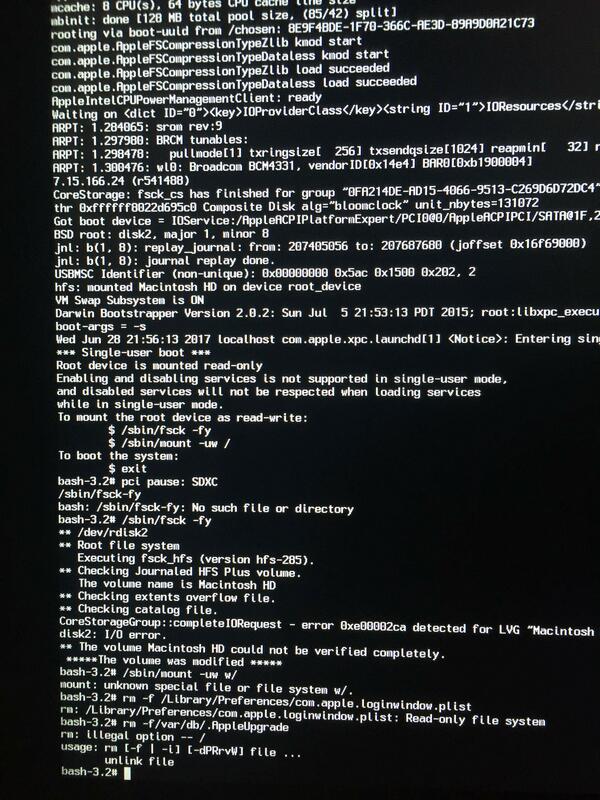 Browse other questions tagged macos hang error login-screen . How to repair permissions after removing the “wheel” group from my hard drive?